Meat Distribution Project on Eid ul Adha. 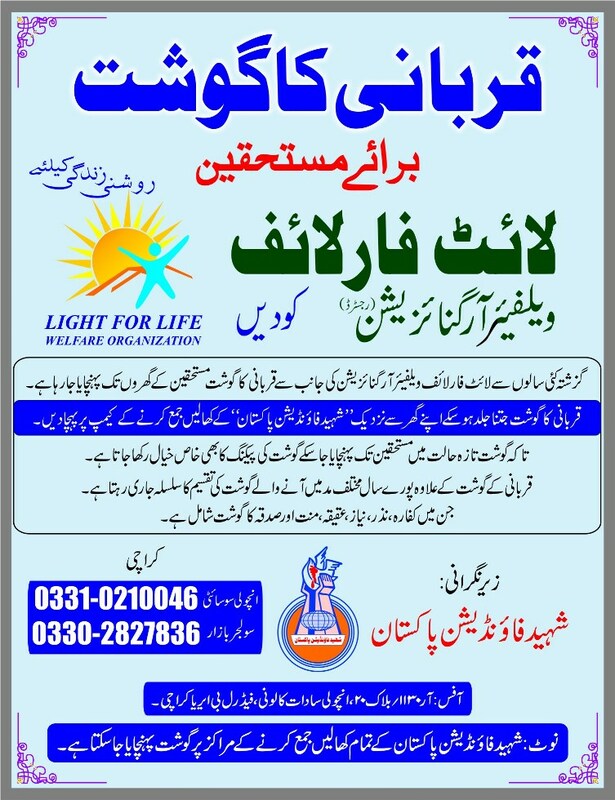 Like previous years, On the event of Eid-ul-Azha distribution of meat in deserving families ​will be organized​ Light for Life welfare organization. This year​ too,​ meat collection​ points will be collocated with sacrificial hide collection camps set up by​ Shaheed Foundation Pakistan.